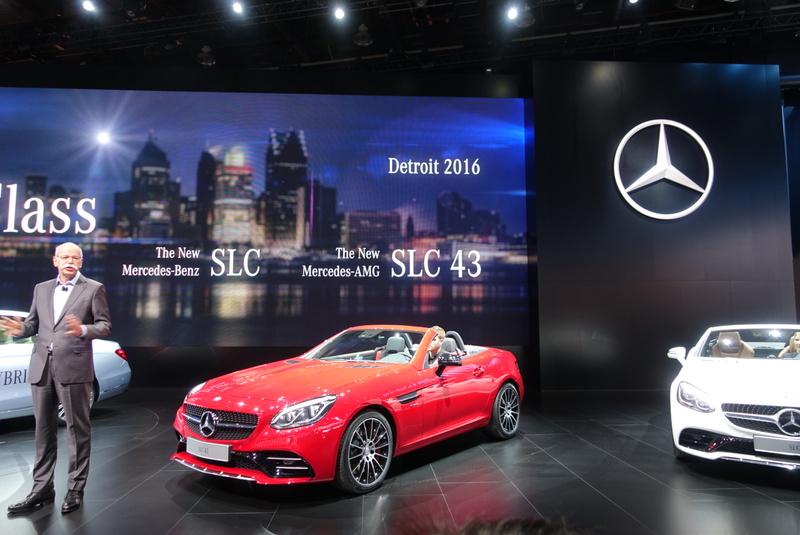 DETROIT, MI -- (Marketwired) -- 01/11/16 -- Today, at the North American International Auto Show in Detroit, Mercedes-Benz premiered the new Mercedes-Benz SLC, which will be available in the spring of 2016. The press release from Mercedes-Benz when the SLC was first announced stated, "A feature that continues to be unique to the SLC is the panoramic vario-roof with MAGIC SKY CONTROL -- this glass roof is lightened or darkened at the touch of a button. This means that it provides an open-air feeling at any time, but when required gives welcome shade under a hot sun." The MAGIC SKY CONTROL feature, using Research Frontiers SPD-SmartGlass technology, is a carry over from the SLC's predecessor model, the SLK roadster. The SLK was originally introduced with MAGIC SKY CONTROL in 2011. Joseph M. Harary, President and CEO of Research Frontiers, the company which invented the SPD-SmartGlass technology used in Daimler's MAGIC SKY CONTROL panoramic roofs, noted: "It is great to see Research Frontiers' patented SPD-SmartGlass technology featured so prominently here at the Detroit Auto Show in a growing number of Mercedes-Benz vehicles." 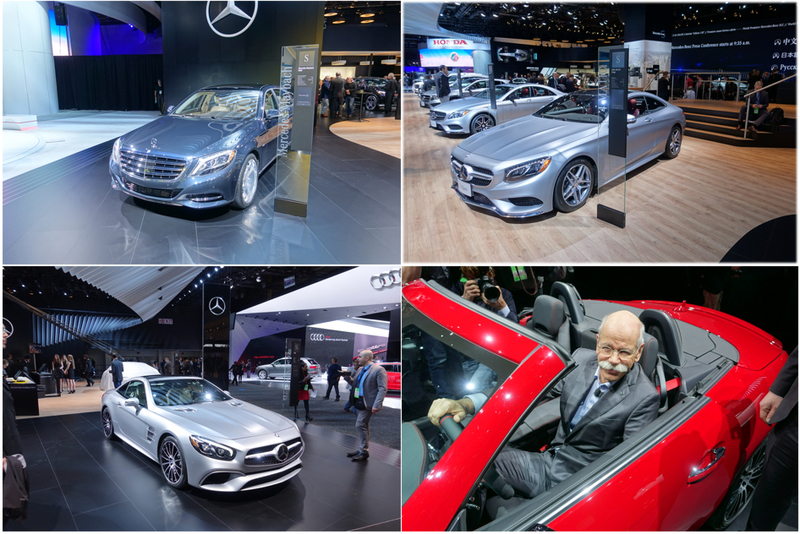 The SLC, as well as the other vehicles at the Detroit Auto Show showed the popular MAGIC SKY CONTROL option, including the newly refreshed SL Roadster, the S-Class Coupe (which offers the world's largest single piece of SPD-SmartGlass ever put into serial production by the automotive industry) and the Mercedes-Maybach S600, will be available for viewing at the North American International Auto Show in Detroit from January 11-24. Please see this video to see SPD-SmartGlass in action in the automotive, aircraft, yacht, museum and architectural industries. The MAGIC SKY CONTROL feature uses patented SPD-SmartGlass technology developed by Research Frontiers to turn the roof transparent by electrically aligning tiny particles in a thin film within the glass. With the touch of a button, drivers and passengers can instantly change the tint of their roof to help keep out harsh sunlight and heat, and create an open-air feeling even when the sunroof is closed. Glass or plastic using Research Frontiers' patented SPD-SmartGlass technology effectively blocks UV and infrared rays in either mode, helping keep the cabin cooler, and protecting passengers and interiors. These benefits become even more important when a car uses large surface areas of glass, especially in warm climates. SPD-Smart technology has proven itself in many aspects, from durability and performance, to sales. MAGIC SKY CONTROL is now in use on thousands of SL's, SLK's, Mercedes-Maybach's and S-Class models around the world. Before putting cars into serial production, Mercedes-Benz put the MAGIC SKY CONTROL roof using SPD-SmartGlass technology through rigorous durability and performance testing in some of the most extreme conditions on Earth. This included testing in the arctic cold of Scandinavia (with temperatures below -22ºF/-30ºC) and the blistering desert heat of Death Valley, California (with temperatures exceeding 122ºF/50ºC). MAGIC SKY CONTROL blocks over 99% of harmful UV radiation and substantially reduces heat inside the vehicle. Test data published by Mercedes-Benz shows the ability of the roof to reduce sun exposure to 1/20th of direct exposure levels (from over 1,000 watts/square meter to less than 50 watts/square meter). When compared to conventional automotive glass, Mercedes-Benz reported that the use of SPD-SmartGlass significantly reduces the temperature inside the vehicle by up to 18ºF/10ºC. This increases passenger comfort and reduces air conditioning loads, thereby saving fuel and reducing CO2 emissions. Note: From time to time Research Frontiers may issue forward-looking statements which involve risks and uncertainties. This press release contains forward-looking statements. Actual results could differ and are not guaranteed. Any forward-looking statements should be considered accordingly. "SPD-Smart" is a trademark of Research Frontiers Inc. MAGIC SKY CONTROL, Mercedes-Benz, Mercedes-Maybach, and model designations SLC, SLK, SL and S-Class are trademarks of Daimler A.G.